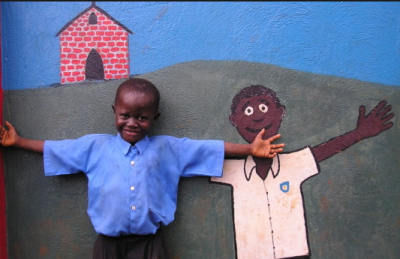 Which day care should I take my child in Uganda? In the past, child day care institutions were perceived not to be good places for toddlers. It’s believed that care takers often left children unattended to and they would instead do their own work. This affected the child growth of these kids because they were poorly fed. Currently there are the best places where you can take your child as little as 7mouths, they are well trained in parenting and know how to handle children of all ages. They are given special attention that enables them to learn and grow. Before you take your child to day care, you must know what you want your child to achieve. It could be to play with others, learn how to talk and still associate with others. Day care institutions must be given licenses to enable them operate in any location; this is something you must take note of as you look for one. Licensed day cares simply mean that they allow the rules set for them and that they have all the facilities favorable to keep children of all ages around. Safety measures must be put in place in case of any accident. Day cares must have all kinds of toys to keep the children entertained, storytelling movies must be showed to some aged children to learn how things are done. Avoid toys that may damage a child’s life rather toys that will help a child learn and grow. With the best toys put in places, this will help children to adjust faster in their learning skills because they will be able to relate to them. Some homes have special rooms for their children; they are well designed with all bright colors that will give a child a peaceful stay in the room.Toys, reading books, artificial blackboards, small chairs along with playpens ought to be wide spread in the room to enable childhood growth. Just make sure that each point of a child’s room, there is something interesting and attractive to occupy a child’s mind. Kids love spacious rooms to enable them run around. Small homes that may not have all these facilities may send their children to day care because there is everything that excite and keep the child busy as she or he also learns how to associate with others. Day cares are spacious with all outdoor activities put in place. They are given time to play all kinds of games and by the time they reach, they are surely tired and all they will do to sleep right away after an exciting day. One thing that you must take note about day cares is the staff; it must be well trained and experienced in the field of child care. A well qualified worker is one who will commit all his or her time to ensure that a child learns, plays and grows. Usually they love these children as their own, they don’t want see them cry or being hurt. They are there to protect them to handle them to their parents safe and sound. Parents that are so busy with work and have not time for their babies end up taking them to day care. Parents believe that the staff has enough time to look after children since they specialize in attending to toddlers of all ages. Kyengera on Masaka Road; 100 meters on Kyengera to Nakawuka Road. P. O. Box 24415 Kampala, Uganda. Tel: 256 772 455340; 256 312 112435. Provides quality early education for children 3-6 years old, along with quality care for children 5 months to 2 years old; in a safe, friendly and nurturing environment where they learn, develop, play and grow. A have a baby of one yr and five months but I don’t have time to be with him,so I need a good day care to take care of him even during the holidays. Top Public Universities in Uganda.